I’m getting sloppy about making these posts on the right date because the story is moving toward its last month. After that, I’ll have come up with something new. 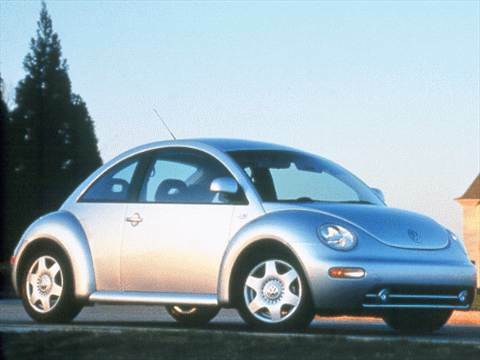 The 1999 Volkswagen New Beetle comes in later, after this passage. However, I did find another typo in the text! It was Saint Jonah’s day, and the last day of summer in the Northern Hemisphere. I drove Henry to his second Quaker meeting, and I did not go in. We had both attended the week before, and it only made me realize how little I cared about the church I had been going to for the last 25 years or so. Gershwin may have had it right when he questioned whether Old Jonah made his home in dat fish’s abdomen. Long ago, before we were married, going to church became one of the things Elizabeth and I did together, not long after the date we arranged when her car stalled in front of my speed gun. Mostly, I liked being with her, although I had some latent curiosity about what people saw in it. Church was baked into Elizabeth at an early age. So when we began to think about getting married and having a family, I figured that maybe this was a way for a flawed individual such as me to be a good husband and father. I loved Speedy, and I never stopped being his son, but there are a damn lot of trails through the woods. And it didn’t hurt too much. I married Elizabeth in the church where her family had been going for a long time. I never thought of myself as converted; it was more like being diverted. Before I knew what was happening, the first child, Herman, came along, a bubbly creature who turned suddenly somber when his sister Isabel was born a couple of years later, and then Henry. I was a silent but not unwilling co-conspirator as we subjected our children to rituals that I never faced: baptism, christening, Sunday school and confirmation. No one ever thought to ask whether I had any of those merit badges. People assumed that, since I was married to Elizabeth and attending church regularly and putting something in the collection plate and hanging Christmas lights and hiding Easter eggs and trying not to fart in bed, I must have been saved at some point. To keep this pretense going, I nodded appropriately and as much as seemed necessary. If I had to, I mentioned the Boy Scout church. Jesus wasn’t a Christian, I told myself, yet he managed to be a decent fellow. The problem with the Quaker church, as that would-be draft dodger called it long ago, was that they didn’t believe it either, but they kept coming back to make sure. Plus, it reminded me too much of Speedy. So after that first Sunday meeting with Henry, I opted out altogether. If Emily Dickinson could take the Sabbath at home, surely it was okay for me, a 51-year old perpetual undergraduate, to waste Sundays out in the sunshine. That Saint Jonah’s Day of 2002, after Henry went into the Friends meeting without me, I turned the key in the ignition of our decrepit minivan, thinking about those tireless electrons racing to the spark plugs, the crank turning, fuel releasing into the pistons, blastoff. All systems go. This was too easy. I shut down the engine. I got out of the car, locked the doors with the front windows rolled down and threw the car keys onto the front seat. This was the parking lot at a Society of Friends meetinghouse, after all, during a Sunday meeting. With neither prayer nor plan in my head, I sauntered down the drive to the undulating two-lane road that was reminding me of up-county roads where I grew up, or tried to. I was beached at a terrible place to hitchhike. The road was narrow and had no shoulder. Traffic hurtled at me around a curve and pitched headlong down a slope toward a bridge that spanned a tributary of the Anacostia. There was no place for a driver to pull over and little opportunity to even see me there before it was too late. All of which was peanuts given that this was late September 2002, the beginning of the second year of the Great Fear, decades removed from a time when kids still hitched, and generations after a time when the Depression and the war effort had socialized adults to the point that they would stand by the road and ask a neighbor for a ride. I stood there anyway, thinking my chance of getting a ride was so remote that I was, in effect, just vertically sunbathing. Yet it was liberating to cast my thumb-bait to drivers as they poured over the hill and curled around me onto the bridge. Most of them probably didn’t see me, or couldn’t put together enough context to sort out what I was doing. A few may have put it together but were just too dumbstruck to do anything about it. None of which really mattered because that limited stretch of asphalt where I waited was connected to all the others going places by being rooted on the roadbed. Then a 1973 Audi Fox began to slow as it headed into the turn. I was out of shape and it took me a few seconds to realize that the driver was decelerating for me. He pulled halfway onto the driveway to the meetinghouse as I headed for the passenger-side door. He had me there. Unprepared, I muttered something about down the road and pointed forward through his windshield. “You don’t see hitchhikers much anymore.” The driver looked to be a fellow traveler in the baby boom. There was a golf bag in the cargo area. “I haven’t done this in 30 years,” I said, remembering the protocol. Talk if talked to. Be small and keep your odor to yourself. Watch for signs of weirdness. Don’t get too comfortable, but don’t be uneasy. Just two oxygen breathers hurtling down the road. It was different being an adult, or at least of adult age, but even more different was the fact that I was hitching a ride without any particular place to go. “And jolly enough were the sights and sounds that came bearing down before the wind,” I said. “I’ve got a golf game,” Audi Fox said, turning off in the general direction of a golf course that I had vaguely noted in the many years I had lived in Prince George’s County. Subconsciously, I was still mapping ways to earn a few dollars, in a pinch, on a weekend. It turned out it was alright with Audi Fox. He parked and changed into his golf shoes while sitting on the back bumper. I considered whether I should offer to carry his bag for him, at least to the clubhouse, but I feared that once back in the yoke, I might get lost and not find my way out again. So I walked with him for a little way toward the clubhouse and then said so long and lurked off toward the nearest tee. After so much of my youth misspent on golf courses, this was the first one I had been to since I walked away from the country-club summer job with Brady’s advice in my back pocket. I watched a foursome of middle-aged guys in varying stages of being overweight and adorned to the gills in golf paraphernalia. They had two electric carts, as did the next several groups lined up behind them. I looked out over the course and saw no caddies anywhere. As it was Sunday morning, there were no greens-keepers either. A golf course left almost entirely to the golfers, running amok in their gay, motorized carts, simulated automobiles with no onboard ashtray. This must be a public course, I thought to myself. Here and there, someone was walking, bravely dragging a bag of clubs behind them on a two-wheeled cart. I rediscovered that I liked watching golf balls smashed off and away from their little wooden pedestals, even the deformities that sliced and hooked hideously astray. If the soul of a golf stroke is the arc of its trajectory, do such atrocities reflect evil, or are they just the output of lousy artists? Or did they exist only to draw a contrast to beautyl, those wondrous efforts launched bravely into the cerulean September heaven, climbing to a peak and then settling with self-confidence in the fairway, inviting its maker to attack the green? I sat down in the chemically pimped-up grass, watching without trying to look, as another group ascended the tee box, stepping through their rituals. I sank back on my elbows, feeling old roots in the earth, relishing a perspective closer to the ground and glad that I had no fiduciary duty to watch where the hell the balls ended up, or to throttle down a lawn mower in order to be paid the minimum wage. The golfers loomed like actors or celestial beings against the impeccable sky. It was easy to be subverted by such prosperity, even when people around the world were scratching in the dirt for something to eat and walking miles through the bush for a bucket of rancid water, and our own boys and girls were dancing across minefields to give what-for to the zealots. After a while, I decided I was thankful that I wasn’t a golfer and I picked myself up off the plush grass. I ended up walking all the way back to the meetinghouse, as I knew I would, trudging backward with my middle-aged thumb in the road, practicing a dying social art.